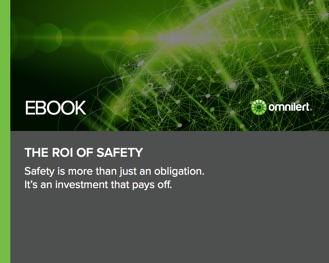 Safety is more than just an obligation. It's an investment that pays off. In this eBook, we will review three important reasons why you should invest in an emergency notification system, and through that, the safety of your people. Compliance and Legal Obligation - As an organization, you must provide a safe place of employment free from recognized hazards. Reduce the Cost of Doing Business - Placing an emphasis on safety within your organization has the potential to save lives and save your business money. Operational Efficiencies - An emergency situation that affects your business can have a huge impact across all departments.